How do stand out in the sea of literature? Book promotion. Many authors cringe at the prospect. How do you set your book apart in the sea of current literature? How do you get noticed on Amazon, on bookshelves and in social media? When you think about all of the digital platforms authors have at their fingertips today (“Do I have to be on Facebook, Snapchat, Instagram, Twitter… ALL of them? !”) you may feel your anxiety creeping up. Instead of trying to tweet, post, snap, gram and blog everything all the time, maybe there’s a better way. Imagine if your could get on podcasts to promote your book. Did you know that there are more than 400,000 podcasts on the airwaves right now? you can find podcasts on everything from marketing to entrepreneurship, from essential oils to urban chicken farmers… and everything in between. Listeners are hungry for content that matters to them. That’s where you want to concentrate. 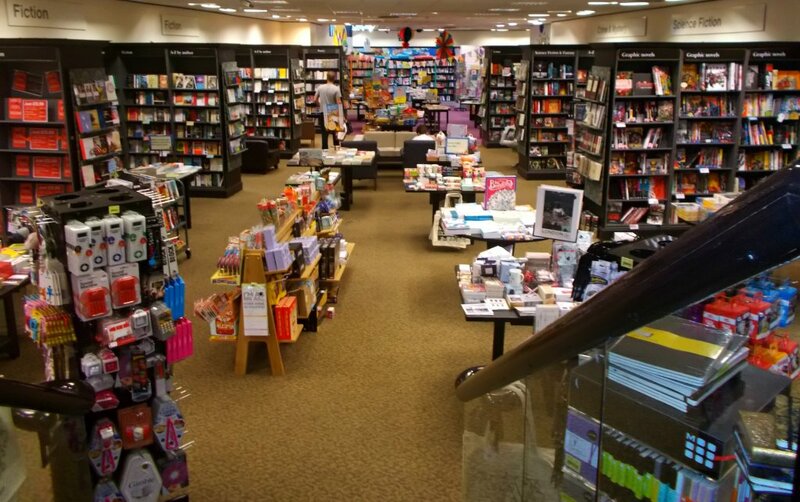 Your book has an audience – you just need to find out where they are! 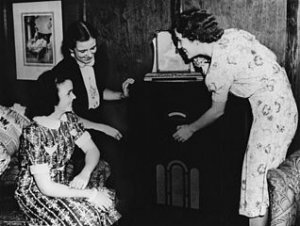 Podcasts are like old radio shows – only better! Podcasts have become a popular medium that people love, somewhat like the radio shows of yore; except rather than sit around the radio in the living room, we now have podcasts in our ears on our commute, while we’re exercising, while we work or simply while we relax. With the technology advances today, podcasts are exploding in popularity. You can connect with your ideal readers in their ear when and where they want. If you’re thinking this sounds better than going from bookstore to bookstore and library to library for a year, paying for travel yourself and hoping the right readers stumbles across your event, you’re primed to get on podcasts to promote your book. How do I get on podcasts? Getting yourself in front of podcast hosts – the right ones – and getting them to say yes starts with research and preparation. It will take time, effort and courage. Much like getting your book published, you may get some “no thank yous” and even some who never answer you. However, preparing yourself to pitch yourself will go a long way towards getting yourself booked on podcasts to tell your story. Here are a few tips to get things rolling. In marketing, we focus on demographics, behavior, psychographics and more to develop a buyer persona. You’ll want to start there and find your dream customer, your avatar or ideal reader. Once you know who your reader is and what they like, you’ll start to understand what they do in their free time and what kind of podcasts they may gravitate toward. As you get to know your ideal reader, dig deeper into what it is they do, where they get their information and what kind of shows they’d listen to. You can make educated guesses, or you can be direct. Ask them with surveys, social media post or the direct question. Search through iTunes with the eye’s of your ideal customer. New and noteworthy are a great place to identify up and coming shows. The goal is not the biggest show, but one you can use to improve and point to as an example for future larger shows. You’ll find more fish (listeners) in the ocean (big shows) than in a barrel (smaller shows). But isn’t it easier to fish from a barrel? A niche podcast may have a smaller audience, but the listeners are engaged and you can be more laser-focused on the right audience. Podcast hosts get pitches from authors, speakers, publicity firms, friends, neighbors… you get the idea. One way to set yourself apart is to prepare a pitch sheet that tells your story briefly so the host can glance it over and decide if you’re a good fit for their show. It’s important to keep this professional and looking nice. Include your professional head shot, contact information, a brief third-person introduction, topics you discuss and a testimonial with image. It’s a bit of science and art to get on podcasts to promote your book. These tips get you started on your journey. 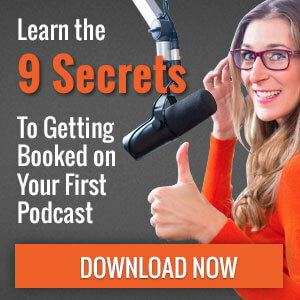 For more tips, download our 9 Secrets to Getting Booked on Your First Podcast below. Getting that first podcast is key. The podcast world is a tight-knit community. Once you get that first show, others will begin to hear about you, which makes it easier to say yes to you and your story.